TELEVISION/RADIO: CBS Sports telecasts with Greg Gumbel and Dan Dierdorf. 1070 The Fan/HANK-FM, 97.1 broadcasts with Bob Lamey, Will Wolford and Kevin Lee (field reporter). Westwood One broadcasts nationally with Howard David and Tony Boselli. 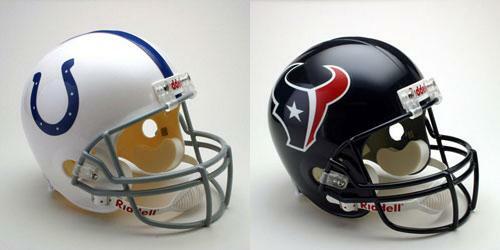 The Colts and Texans are meeting for the 17th time, with Indianapolis owning a 15-1 series edge. Indianapolis swept the meetings in 2009, winning 20-17 at home on November 8, then posting a 35-27 victory at Reliant Stadium on November 29. In last year’s second meeting, Indianapolis extended its franchise record with a 20th consecutive regular-season victory (on the way to a league-record 23 straight wins) a 35-27 come-from-behind triumph. Down 17-0 in the second quarter, Indianapolis responded with a 28-point second half to earn a league-record fifth consecutive fourth-quarter comeback victory. QB-Peyton Manning (27-35-244, 3 TDs/2 ints.) surpassed QB-John Elway (4,123) for 3rd-most completions in NFL history. It was the fifth time Manning directed the club to victory from a 17+-point deficit, the most times by any NFL QB. WR-Reggie Wayne was 3-19, 1 TD, while LB-Clint Session had a 27t interception in a 21-point fourth quarter to help seal the victory. Indianapolis clinched the AFC South title with the win. In the first meeting of 2009, countering a 17-0 Houston run that erased a 13-point lead, Indianapolis scored midway through the final period to outlast the Texans, 20-17. The victory was not secured until K-Kris Brown’s 42-yard field goal attempt drifted wide left at the gun. Indianapolis led from the outset until the first play of the final period, but rallied when it mattered. Manning was 34-50-318, 1 TD/int., earning his 125th starting victory, surpassing Fran Tarkenton for 4th-most wins by an NFL starting QB. Manning became the first player in NFL history with 40,000+ passing yards in one decade (40,299, 2000-09), and he became the first NFL QB with seven 300+ outings in the first eight games of a season. DE-Dwight Freeney had a sack in a ninth consecutive game. Rookie DB-Jerraud Powers had an interception, while RB-Joseph Addai (14-63, 1 TD; 2t rushing/5-49, 1 TD; 7t receiving) had two scores. TE-Dallas Clark (14-119) tied the club record for single-game receptions and fell one reception shy of the NFL single-game mark for TEs. Wayne (635) passed WR-Raymond Berry (631) for 2nd-most receptions in club history. The Colts swept the series in 2008 (33-27 in Indianapolis 11/16; 31-27 at Houston on 10/5). In that year’s meeting in Lucas Oil Stadium, scoring on its final five full possessions, Indianapolis posted a 33-27 victory. Manning (30-46-320, 2 TDs) directed an attack that produced 474 yards, while Addai (22-105, 1 TD rushing; 7t/4-48, 1 TD receiving; 23t) and WR-Marvin Harrison (9-77, 1 TD; 10t) had touchdown receptions. The club’s five final scoring drives covered 66, 81, 80, 73 and 69 yards. Wayne was 7-90 receiving, and Indianapolis rushed 34-154. Houston was 25-177 rushing, led by RB-Steve Slaton (14-156, 1 TD; 71t). Freeney had two sacks, while DB-Melvin Bullitt ended the contest with an interception. K-Adam Vinatieri booted field goals of 40, 39, 32 and 31 yards. In Reliant Stadium on October 5, scoring 21 points in a 2:10 span of the final quarter, Indianapolis produced a stirring 31-27 victory. Indianapolis scored 10 first-quarter points before seeing Houston tally 27 unanswered points in taking a 17-point lead into the final minutes. Manning (25-34-247, 2 TDs/1 int.) sandwiched 7t and 5t scoring passes to TE-Tom Santi and Wayne (7-97) around LB-Gary Brackett’s 68t fumble return as the Colts earned the win. The first scoring pass came with 4:04 remaining, and the final one came with 1:54 to go as Indianapolis became the first NFL team to erase a 17-point deficit in a game’s final five minutes to win in regulation. The final touchdown was set up by DE-Robert Mathis’ sack-fumble recovery at the Houston 20. Bullitt intercepted a pass at the club’s 22 with :42 remaining as the three late takeaways spurred the comeback. Addai was 17-71, 1 TD rushing. Indianapolis won both 2007 meetings, 30-24 in Houston on September 23 and 38-15 in the RCA Dome on December 23. Fueled by a 21-point second quarter, Indianapolis produced a 38-15 victory in the second meeting in 2007. The Colts scored 35 points in the middle two periods. Manning (28-35-311, 3 TDs) directed an offense that produced 458 net yards. Addai tallied on a 2t rush, then TE-Dallas Clark (6-60, 2 TDs; 6t, 11t) and Wayne (10-143, 1 TD; 7t) helped produce the win. The Colts tallied three interceptions and controlled the ball for 35:45. In that year’s game in Houston, overcoming a scoring kickoff return to start a game it would never trail again, the Colts posted a 30-24 win. Down 7-0 after 21 seconds, the Colts scored in every quarter afterwards. Manning (20-29-273, 1 TD) led an offense that gained 362 net yards and produced points off two defensive takeaways. Manning hit Clark (4-58, 1 TD; 2t) on a scoring pass, and Addai (22-72, 2 TDs; 4t, 8t) tallied two rushing scores. Indianapolis pushed a 14-10 halftime lead to 27-10 after three quarters. The teams split the series in 2006, with each team winning at home. 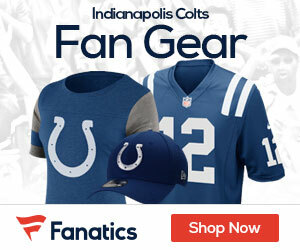 Indianapolis posted a 43-24 win on September 17, while the Texans produced a 27-24 win on December 24 at Reliant Stadium. In 2005’s battles the Colts took a 38-20 win at Houston on October 23 and a 31-17 win in the RCA Dome on November 13.